Dubai: The exterior cladding panels currently installed in the Tamweel Tower that was partially gutted by fire last week will “most likely” be replaced with fire-proof cladding panels, Gulf News has learnt. Tamweel, the building developer, held a private meeting with the apartment owners of the 34-storey mixed-use tower on Sunday. More than a hundred owners were present at the meeting while members of the media were not allowed inside. Citing a Gulf News report on Sunday, one owner with an engineering background told the board and owners present that highly flammable exterior cladding panels on medium- and high rise towers were now banned under a new national fire safety code. “Tamweel confirmed that after forensic report and insurance claims have been done, it will most likely replace all the cladding materials with fire-proof ones,” a member of the board told Gulf News on condition of anonymity. “As the way forward, the insurance company, IOA and Tamweel shall appoint an expert to assess the damage and get core samples from the structure to test if the fire has affected the reinforcement of the building,” he added. It was not immediately clear when the building repairs — which could take at least eight months to one year — will begin. The owners were told that the current insurance policy of the tower, amounting to Dh340 million, covers all damaged common areas and apartment structure only. This amount of money can reportedly cover the demolition and rebuilding of the tower, should that be an option later on. During the meeting, new members of the Interim Board of Owners Association (IOA) were elected to coordinate with relevant authorities the way forward in the rehabilitation and reinstatement of the building. The IOA is composed of 10 members, with seven permanent members and three reserved members. Tamweel currently holds two seats on the board. The IOA, however, is not yet officially recognised by Dubai’s Real Estate Regulatory Authority (RERA). Hence it does not have any legal capacity to decide on the interest of the owners and residents nor sign contracts with anyone regarding building repair or other concerns as of yet. Meanwhile, owners welcomed Tamweel officials’ decision to freeze monthly mortgage installments of over 60 units financed by Tamweel and Dubai Islamic Bank (DIB) in the tower until after the building is reinstated. The IOA has suggested to the owners to return tenants’ cheques and terminate their contracts so they can look for new accommodation while the building is being repaired. “They suggested to the owners that it is lawful to return the cheques, but it is up to the landlord. Otherwise, tenants can take it up with the dispute committee at RERA,” Irfan, who was representing an owner, said. Bassem Fakhry, a tenant, expressed concerns that his last cheque amounting to Dh47,000 is dated November 30. He has asked his landlord not to cash it but has not received a response yet. 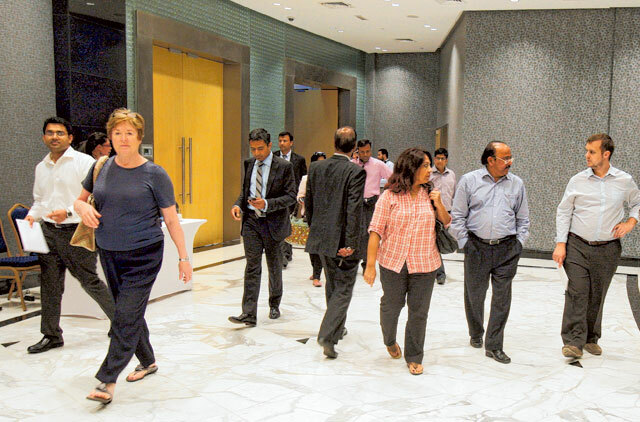 Many of the residents were dismayed with the fact that no one from Rera or Dubai Multi Commodities Centre, the area developer of Jumeirah Lakes Towers, was present in the meeting.